Wei Lung started his career in 2005 at the age of 18, studying at Lasalle College of Music. It was there that he joined several jazz bands and started performing at events such as Sentosa's Jazz by the Beach 2006, Jazz at the concourse 2007, and Mosaic Music Festival 2008 for their "Jazz/Pop Modern Classics" night. In 2011, Wei Lung was awarded a partial scholarship from the Berklee's Asia Scholarship Tour and enrolled into the Berklee College of Music, where he studied drumset under Larry Finn. However after completing 2 semesters at Berklee he suspended his studies in light of work commitments back in Singapore. Back in Singapore he went on board with Singer-songwriter Tim Koh, playing venues such as TAB, NOISE Festival 2012, Singapore Street Festival 2013 and joining top40s cover bands Continuum and Full Circle, scoring residencies at Skyloft@Sentosa, Fern and kiwi, and Hard Rock Cafe from 2012-2014. Wei Lung also took part in various drumming competitions and was awarded the Semi-finalist at Drum Challenge Asia 2007, 3rd place at Drum Challenge Asia 2008, winner of ANAKI Records Solo Competition 2010, and winner of Zildjian's Gavin Groove contest 2015. He currently plays with fusion band TO Ensemble who were invited to represent Singapore at the 2010 Singapore Youth Olympics to perform at the final leg of the "Journey of the Olympic Flame" in Auckland, New Zealand, and to Titian Budaya Festival 2015 in Kuala Lumpur, Malaysia amongst a host of other gigs in Singapore. 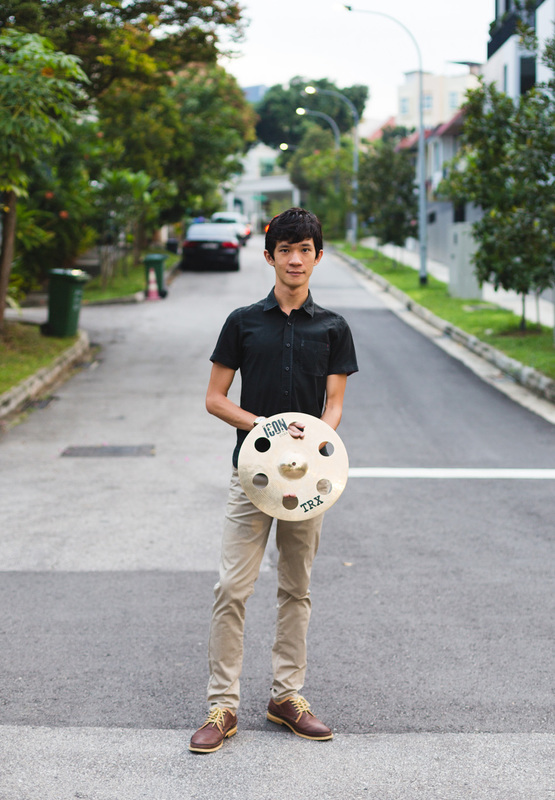 Alongside his performances, Wei Lung is a drum instructor at the Yamaha Contempo School. As a teacher, he believes in inspiring and educating the next generation of aspiring drummers through the sharing of knowledge and his performing experiences. He is of the view that one's efforts and discipline in mastering the technicalities in music should be balanced with the drummer simply having fun making music with his/her instrument and believes that it is important for any musician to be in touch with one's personal style and stay true to one's musical voice. He has a youtube channel where he plays covers of progressive music which is a genre close to his heart, and shares his knowledge on playing odd time signatures. He believes that drummers around the world can grow together through the open sharing of knowledge and a dose of healthy competition.